Acoustica is a remarkable outfit comprised of four talented and well known musicians. Perfectionists in their own genres, this group have created a sound so unique, you will wonder where the time has flown after watching them. 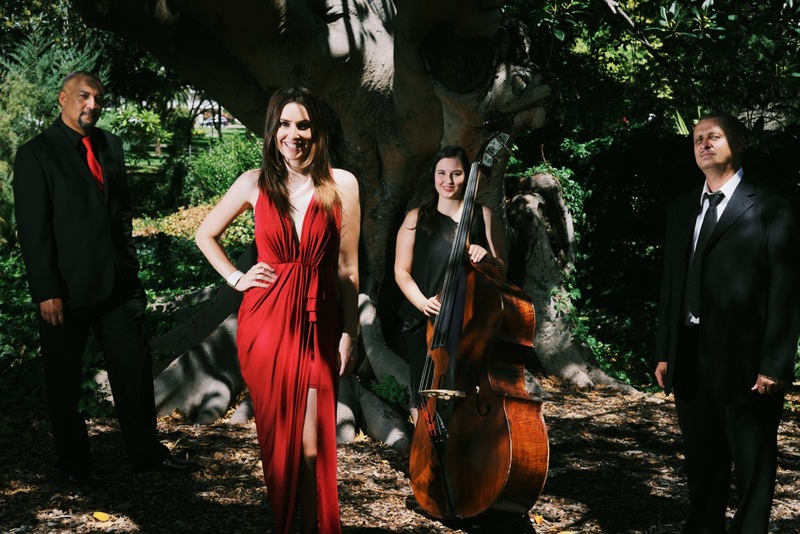 Sultry vocals from the stunning Natalia and Thierryno are accompanied beautifully by the talents of Kate Pass on double bass and Vince Pavitt on drums. Thierryno completes the groups elegant sound on piano. Ideal for your next cocktail function, wedding – or any event that requires that extra touch of style and class. Timeless classics and today’s favourites, re-imagined and re-discovered, make this quartet the perfect entertainment.